The Louvre is on everyone's 'must visit' list when planning a trip to Paris. Of course, with over 380,000 objects and 35,000 works of art housed in eight different departments, visiting the museum is often an adventure in and of itself. Over 9.72 million people visited the Louvre in 2012, the busiest year on record. That's almost 32K each day the museum is open! It is said that seeing everything in the Louvre would take over one year of daily, 8-hour visits. Sadly, most travelers do not have anywhere near that much time to devote to exploring the Louvre, and often squeeze the Louvre "highlights" into a quick 2 to 4 hour visit. At Aeon, we understand how limited your travel time is, and we've come up with a few tips to make the most of your time at the Louvre. 1)	Get there early…or late. 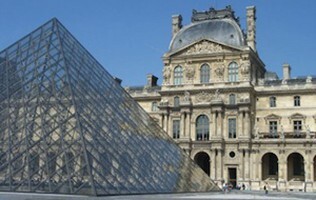 The Louvre is open from 9:00 AM to 6:00 PM with extended hours on Wednesday and Friday when it's open until 9:45 PM. The busiest hours at the Louvre are between 10:30 AM and 4 PM so you can beat (some) of the crowds by arriving early, or late on a Wednesday and Friday. 2)	Get your ticket ahead of time. Being able to skip the queue to get at ticket can save you a lot of time, allowing you to head right inside. There are city-wide passes that you can use at multiple attractions to do the same thing. Tip - they only make sense if you are planning to visit more than one attraction in a day. Otherwise they are more expensive than individual tickets. Ready to explore the Louvre Museum? 3)	Get a map…or an app. The Louvre is expansive. In fact, it's over 780,000 square feet. Save yourself time by getting one of the free maps the Louvre gives visitors. Or, download the Louvre Museum App which you can use with your smartphone as your own virtual tour guide. 4)	Take a guided tour…or don't. Taking a tour is one way to ensure you see everything you want to see, without the hassle of trying to map your own way through the Louvre. With the right guide, you can create your own tour that focuses on what you want to see. Conversely, you may only be going to the Louvre to see a few 'highlights' that you've prepared to visit on your own. In that case, you may not want a guide at all so you can breeze through and be on your way to your next Paris 'must see' attraction. 5)	Don't visit on a Sunday afternoon. 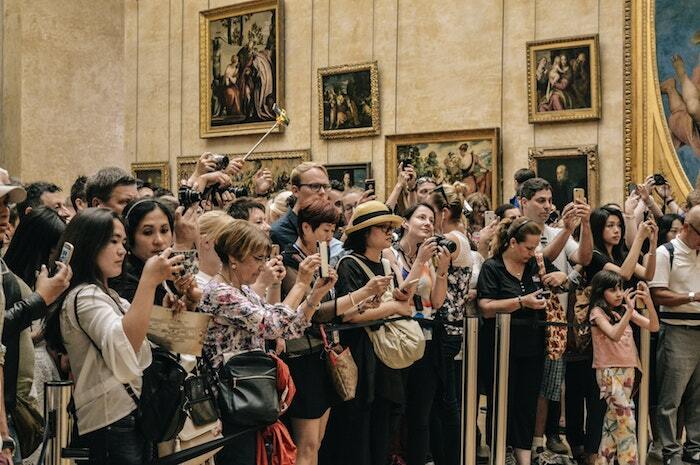 Parisians also love their beloved Louvre and visit whenever they can. After a full work week, that tends to be on Sunday afternoons. Avoid visiting then if you can, as that is the museum's most crowded time of the week. Let us know! Do you have any favorite museum you love in Paris? Send us an email with your tip to info(@)aeontours.com and we may publish yours!